Miami, Florida, is a hotspot for some of the world’s most beautiful people. 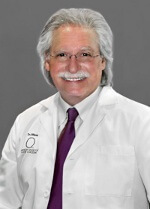 Dr. Darryl J. Blinski is a board-certified plastic surgeon at the prestigious MyLooks clinic in South Miami. Dr. Blinski and his staff enjoy improving the confidence of men and women through effective plastic surgery procedures. Dr. Blinski specializes in breast surgery at MyLooks Miami, including breast reduction, breast lift, breast reconstruction, breast implant surgery, breast implant removal, and more. Contact our representatives now to schedule a free consultation during which you can discuss your aesthetic breast desires, financing, recovery time, and more. Dr. Blinski has over 30 years of experience in plastic surgery. He is a graduate of the University of Miami School of Medicine and has completed residencies in both general and plastic surgery. Dr. Blinski was a Fellow for pediatric and cosmetic surgery, giving him an elevated level of expertise uncommon in plastic surgeons. Patients rave over Dr. Blinski’s kind demeanor and easygoing communication style. He prides himself on staying updated on the latest plastic and breast surgery developments by attending industry conventions and seminars. Contact our representatives now to schedule a free consultation at MyLooks Miami, conveniently located off South Dixie Highway in South Miami. Dr. Blinski and the rest of the MyLooks staff look forward to meeting patients from all over Florida, including Coral Gables, Aventura, Coconut Grove, Indian Creek Village, South Beach, and beyond. Contact us to arrange a private consultation with My Looks - Miami today.